Last Known Whereabouts began as an IOS mapping application concerning missing persons in the Los Angeles area. When the app was in beta I would drive to these abduction sites to test its integrity in real time. I began collecting objects that I found in these places and amassed a small collection of what could objectively be referred to as trash. I would also take field recordings when possible. 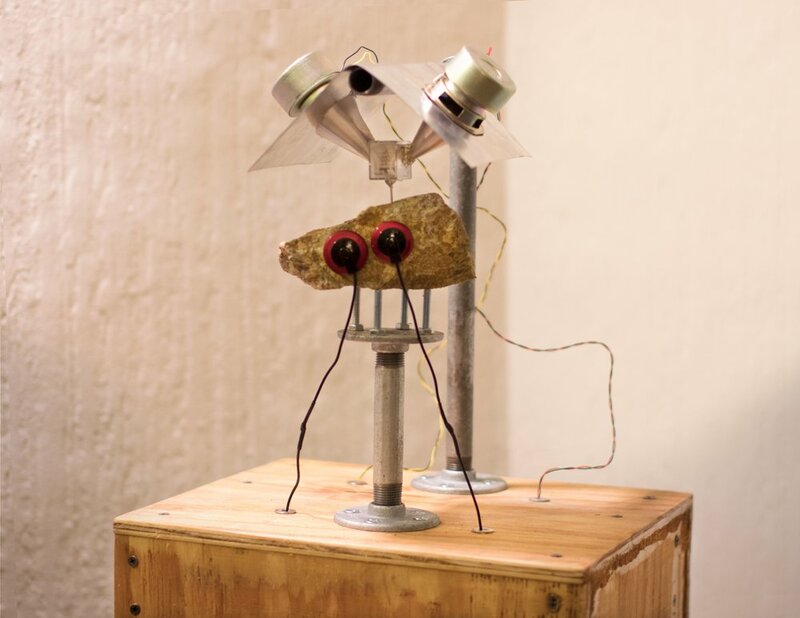 Concurrent to this project I built a sculpture (picture below) that used a hand-made, record lathe head to pass these field recordings through an object (in this case, objects that I found at these abduction sites) to then be collected by contact mics.